Sulfur is 10th most abundant mineral in the universe and 5th Most common on Earth !! Plants need fertilizers made from Nitrogen, Phosphorus and Potassium ( NPK) but Sulfuric acid made from Sulfur is the key ingredient in industrial production of these fertilizers. Sulfur is also used up by various agricultural plants and crops. It is very important essential element for life. Many Plants consume up to 25 kg of sulfur per hectare of land. Sulfur gets depleted and the soil gets barren due to sulfur depletion in the soil. Sulfur also facilitates the absorption and uptake of essential fertilizers Nitrogen, Phosphates and Potassium by the plants. So it's important mineral for growth of plants and natural utilization of essential fertilizers. Sulfur is a non-metallic chemical element identified by alphabet S. In the periodic table it's 16 and Atomic mass is 32, with 2,8 and 6 electrons in each orbit. It makes H2S ( Hydrogen Sulphide) - Poisonous and inflammable gas. 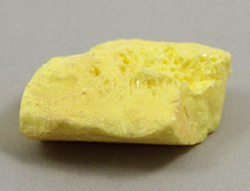 Sulphur makes sulphide compounds with Antimony and Bismuth and is found in Earth as these compounds. COMMERCIAL USE OF SULFUR IN TODAY'S WORLD!! Today almost all elemental sulfur is produced from sulfur containing contaminants from natural gas and petroleum. The greatest commercial use of Sulfur now a days is making up of Sulfuric acid ( H2SO4 ) to make sulfate and phosphate fertilizers. Sulfur is mainly produced in petroleum rich countries Saudi arabia, Russia, Canada and exported to USA, China, Western Europe and East Asia which are using Sulfur to prepare Sulfuric acid and using it to prepare fertilizers for the crops. Sulfur is most ignored mineral in our diet. Although many vegetables like Potatoes, beets, Carrots absorb sulfur from the soil but the soil is so depleted that these vegetables are not rich enough in Sulfur. Many cereal foods which are enriched with Vitamin D, Vitamin C, Vitamin B and Vitamin A, Iron and other minerals, but still they lack sulfur as it's ignored. Moreover as an Ayurvedic doctor, I believe in eating fresh food and vegetables from soil rather than packed in factory as cereals. Sulphur is main constituent of the Amino Acids Methionine, Cysteine and Cystine and important constitent of vitamins like Biotic and Thiamine. Free radical scavenger Glutathione also contains Sulfur. Glutathione is used as shots to prevent side effects of chemotherapy in cancer. Glutathione is used in many complicated diseases like idiopathic pulmonary fibrosis ( Lung failure), AIDS and many others to boost immunity. It's also given to Kidney failure patients to treat anemia by injections. it's also given in male infertility. Above uses are of Glutathione are of modern medical system, but Ayurveda- the ancient health care system uses purified and medicinal Sulfur tablets directly in the above mentioned conditions are s rejuvenator. It is called "Gandhak Rasayan" - Gandhak is sulfur and Rasayan means the one which rejuvenates the body. 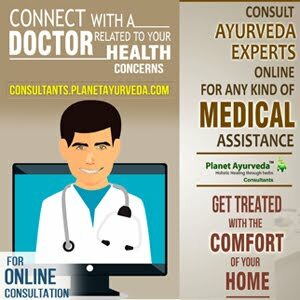 Ayurveda is an age old healhcare system of India. Alchemy of Ayurveda is called "Rasa Shastra". It deals in using various metals, minerals, Animal parts and organs to treat various health conditions. The metals used are properly purified, titrated and used in trace dosages to boost immunity, modify immunity, eradicate cancers and clear the body of complicated diseases. Many people especially modern educated doctors are quiet scared of using metals of Ayurvedic system but they really do not know this science because they have not read about the processes involved in developing the medicines from these metals. I urge all the doctors worldwide to understand how the metals can be used to made as medicines and can be used to treat various ailments. It's highly scientific. It's like the science has extracted various molecules from plant sources like Penicillin and Aspirin. Similarly metals have some medicinal and some properties to affect human metabolism. If you consider them poison, at least try to find out the chemical compound structure of various Ayurvedic Bhasmas and do clinical trials using them on Aplastic anemia, ITP, Myelodysplastic diseases and other complicated tumors. It's like using Snake's venom to treat Snake venom patient. In Modern system, Snake venom is needed to prepare shots for treatment of snake bite. In Ayurveda, Gandhak ( Sulfur) is described in ancient alchemy. It is a powerful rejuvenating substance in human body. Ayurveda classifies metals, non-metals and minerals in various categories. Kajjali = Kajjali is the base of all metal, mineral based preparations in Ayurveda. It's black Sulphide of Mercury. Kajjali is prepared by combining Mercury with Sulfur to render it harmless and make it beneficial. There are several processes involved after Kajjali formation to nullify the side effects of Bhasmas. Sulfur is important ingredient of all Ayuredic metalllic preparations. Kajjali is totally harmless and comes out of body without damaging any organs. Here is scientific explanation about the combination of Mercury with Sulfur. However this article is only about Sulfur but here is explanation about another compound of Mercury+ Sulfur called - Kajjali in Ayurveda. This Kajjali was evaluated by Scanning Electron Microscopy (SEM) and Energy Dispersive X-Ray Analysis (EDAX). SEM images with the magnifications of 2.00KX, 1.00 KX and spatial resolution of 25 nm represented that it formed the order of agglomerates consisted of small spherical particles approximately size of 3 μm to 10 μm observed, whereas EDAX showed the presence of Hg (69.33%), S (24.44%), O (4.64%) and Ag (1.59%) in the final preparation of Kajjali. https://www.researchgate.net/publication/258954988_Chemical_Characterization_of_Samaguna_Balijarita_Kajjali_Black_Sulphide_of_Mercury [accessed May 20 2018]. Eight Maha Rasa - Abhrak, Vaikrant, Makshik, Vimal, Adrij, Sasyak, Chapal and Rasak. Eight Uparasa - Gandhak (Sulfur), Gairik, Kaasis, Kankshi, Taal, Shila, Anjan, Kankusht. Eight Sadharan Rasa - Kampillak, Gori Pashan, Navasadar, Karpad, Agnijaar, Giri Sindoor, Hingul, Mridar Shring. Sulfur is the 8th Most abundant mineral in the body after oxygen, carbon, hydrogen, nitrogen, calcium, phosphoorus and potassium then sulphur, chlorine and Sodium and other minerals and metals in traces are Magnesium, iron, Manganese, Copper, Iodine, cobalt, Zinc etc. Nuts, Eggs, Meats, Fishes, Onion, Garlic, leafy green vegetables. Sulphur rich soils are mainly found in Iceland, Japan, Italy, Hawaii and countries where volcanic activity is more. These countries have active volcanoes and the soil is rich in natural minerals like Sulfur. The people are not so obese, have longer life spans, less depression. Although Iceland is in northern hemisphere, lacks sun but still Icelanders are not prone to cardiac ailments, depression, obesity as compared to Canada and United States. In Ancient Analogy, Ayurveda has compared Mercury to "Virya" of Lord Shiva and Sulfur to "Raj or Artav" of Goddess Parvati. From various volcanic eruptions, the Artav of Goddess Parvati comes out oozing from the mountains and flows down the mountains and dries up and gets absorbed in the earth to replenish it and give nutrition to plants and animals. Even now there are many sulfur springs in various mountains, giving nourishment to the skin and people travel to these hot water sulfur springs seeking cure for their various health problems, especially skin ailments. Sulfur also has the power to control mercury. Ayurveda explains 4 types of Sulfur. White, Red, Yellow and Black. Yellow one is used for medicinal purpose. Red one for chemical processes. Black one is not available and so is white one. Now a days we find only Yellow one. The other colorful ones can be Sulfur ores. Amla Saar and Danda Gandhak are 2 types of yellow sulfur found according to their appearance. Amla Saar is considered more useful for medicinal purposes and Danda Sulfur is mainly used for preparing chemicals and ammunition. It's called Amla saar because the color of it is like Amla berries.. Yellowish. Sulfur is found in the world where the volcanic activity is high for example Sicily, Japan and other such places. Anand Bhairav Ras, Ichabhedi Ras, Ras Sindoor, Gandhak Rasayan, Makardwaj, Swarn Vang, Ras Parpati, Sameer Pannag Ras, Kajjali etc. Gandhak Rasayan is a mineral-based medicine. It involves processing of detoxified Sulfur with herbal juices as the main ingredient. It is an amazing and effective Ayurvedic formulation which is usually administered orally in the form of a herbal powder or tablet. It is considered the best and safe way for administering Shuddha Gandhaka (purified sulphur). It has anti-viral, anti -pruritic, anti-bacterial and anti- inflammatory properties. It also has blood purifying properties (Rakta Shodhaka). It helps in treating skin disorders too. It helps to balance the Vata, Pitta and Kapha. Gandhak rasayan has antimicrobial, antiviral, anti-inflammatory, antibacterial and antibiotic properties. It is known for treating many skin problems. It mitigates redness, irritation, itching, swelling and inflammation. It works really well in the health conditions with the common symptoms of burning sensation. It also treats urinary infections and burning sensation of hands and feet. Recommended dosage for gandhak rasayan for psoriasis and eczema is 1 to 3 grams once or twice a day before or after meals. Gandhak rasayan has amazing blood purifying properties. It acts and cures the area affected by imposing its antiseptic properties. It is well known for taking care and treating dandruff. It is helpful for balancing pitta dosh by suppressing extra heat from the body. In case of baldness or sudden hair fall Gandhak Rasayan is administered orally which results due to medications, stress, genetic factors or diseases. It is very effective in treating bacterial and fungal infections like kandu, kushtha, leprosy / mahakusta / kustaroga, itching, pama, eczema, urticaria, pustules in skin, fungal infections, dandruff, ringworm, scabies, abscesses, boils, and pimples. It is very effective for treating gouty arthritis, sinusitis, Scurvy, Chronic fever, Gastrointestinal disorders and Detoxifying blood. It works well as a Rejuvenator. It helps to remove toxins and other wastes from blood. It improves and enhances strength, nourishment and digestion of the body. It helps the body to get rid of pain. It promotes and improves health and vigor. It slows down aging process. It improves immunity of body.